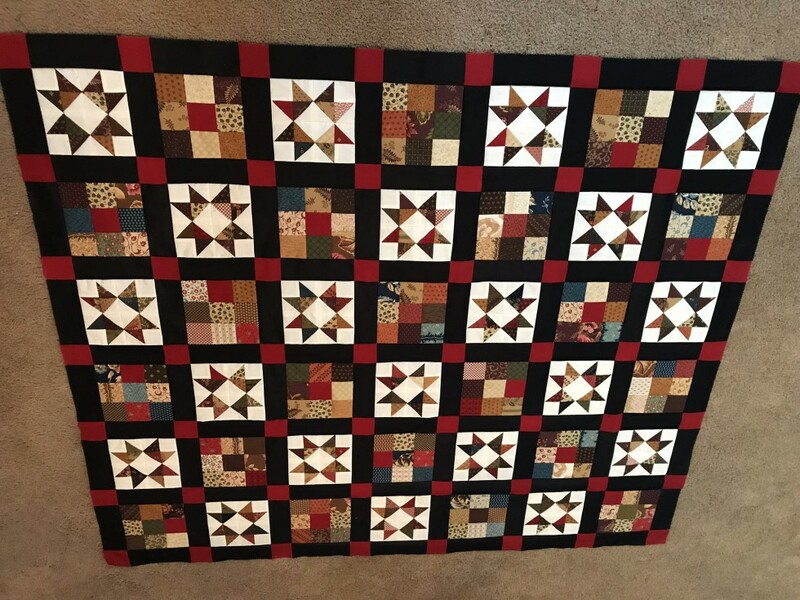 I'm making this quilt from scraps of several other quilts. This is only the top, but I'm happy with how it's coming out. I plan to add 2 borders, but I'm still figuring out what will look best.